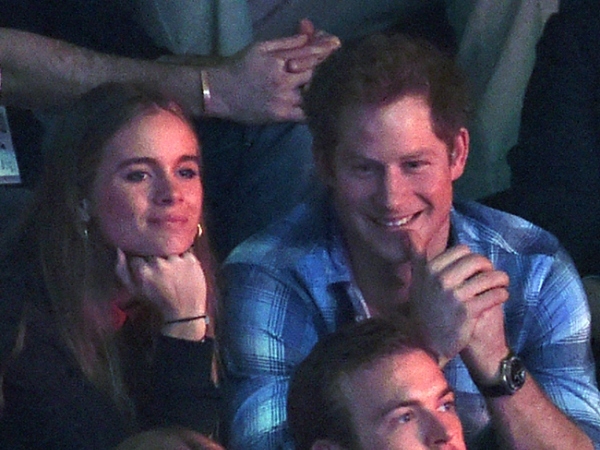 Cressida Bonas is reportedly being put through "princess boot camp" to prepare her for life as a royal before Britain's Prince Harry proposes later this year. Britain's Prince Harry's girlfriend is reportedly being put through "princess boot camp" to prepare her for life as a royal. Cressida Bonas (25) has been having lessons on how to deal with the media and how to behave in public, so that she's ready for when the prince pops the question later this year. A source told the Daily Star newspaper: "The Palace put plans in place as soon as Harry started his Army desk job in London. It was seen as a sure sign things were quickly becoming serious between him and Cressida." "Harry now has a new team around him and their role is to advise the couple together. Cressida's mum has been tutoring her since she was little, so now the training is going up a level. You could call it princess boot camp." It is believed Harry, who has been dating Cressida for almost two years, is planning to propose before his 30th birthday in September. However, it appears the free-spirited stunner - who is the daughter of Lady Mary-Gaye Curzon - may have some hard work to do as she's reportedly being compared to Duchess Catherine, who was known as Kate Middleton before she married Prince William in 2011. The source explained: "The Palace was appalled to see her plaiting her hair in public when she went to support Harry at Wembley. Kate would never be caught doing something so out there."